Devine Ozigbo has struggled to find his way onto the field this season. Before injuries derailed his season, the junior tailback from Sachse, Texas, was the Huskers’ primary backup in 2016 and rang up 412 yards and five scores on 97 carries. Through the first three games this season, Ziggy, as his teammates call him, touched the ball twice. Luke McNitt, the Huskers’ starting fullback and Ozigbo’s roommate could see it too. He could tell the desire Ozigbo had to get on the field and prove what he could do. After all, in the Huskers’ opener last season, Ozigbo topped the 100-yard mark on just 17 carries. That time came against Rutgers on Saturday. Head coach Mike Riley said after a 27-17 win to get back to 2-2 on the season, the Huskers found a winning recipe. Ozigbo, with a career-high 24 carries and 101 yards, was one of the main ingredients. Despite not seeing in-game work, and not really knowing why he was being passed over on the depth chart, Ozigbo kept working in practice. He talked with his friends back home in Texas, his brother and his dad. 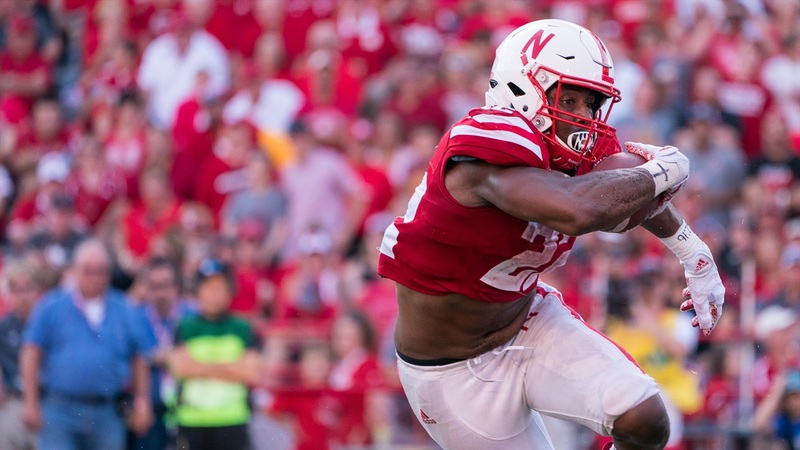 When he found out the week before the season opened that Nebraska was going with a featured tailback and scrapping the by-committee approach, Ozigbo said he initially got down, but then thought of something. “Midweek in preparation for Arkansas State I was like, ‘I might not be where I want to be right now but if my number is called I definitely got to be ready to prove myself right,’" he said. From that point on, even though the snaps didn’t come against the Red Wolves or Oregon the following week, McNitt saw a determined runner, and a hard worker. Danny Langsdorf, the Huskers offensive coordinator saw it too. When Ozigbo finally saw the field against Northern Illinois a week ago, the crowd at Memorial Stadium erupted. Fans of the program have been wondering where Ozigbo has been, and an 8-yard carry on his first touch was all they needed to love on the back a little. Riley said the plan heading into the Rutgers game was to go by-committee again with Bryant injured on the sideline, but junior Mikale Wilbon and freshman Jaylin Bradley were the first two guys off the bench. But in the second quarter, Ozigbo got another chance. He responded with another 8-yard carry and the crowd responded accordingly. As the game wore on, the touches kept coming for Ozigbo. In the fourth quarter, he received all but one of the Huskers’ 18 carries. As he was putting the finishing touches on his second-most productive game of his career, and bleeding the clock down with the Huskers up 10, Ozigbo continued to hear it from the Husker faithful. After the game, Ozigbo said he felt like the Huskers have the talent in the backfield to go by-committee and not skip a beat. Wilbon – the Thunder to Ozigbo’s Lightning – now has 168 yards over the last two weeks and Bryant opened the season with 299 in a game and a half. Riley said it’s a conversation the coaching staff will have moving forward, in part because of the way Ozigbo performed against the Scarlet Knights. As for Ziggy, he said it’s about continuing to work and continuing to prove what he can do. His roommate, and the guy blocking for him, doesn’t doubt him at all.